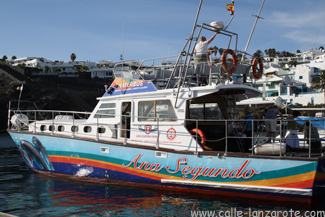 The waterbus „express“ runs between Puerto Calero and Puerto del Carmen and is operated by Lineas Maritimas Romero. Having walked from Puerto del Carmen to Puerto Calero, we decided to take the waterbus for the return journey and see where we had been from the sea. I suspect that the first time I drank Ronmiel was at the Simposio restaurant in Puerto del Carmen – now sadly closed. At the very least, it was there that I discovered what the drink was called. Ronmiel is a blended mixture of rum (ron) and honey (miel), and is often served as a drink when paying the bill at a restaurant. Produced in the Canary islands, it has, as you may expect, a sweet taste. Our enquiries about it were met with the advice to enjoy it whilst on Lanzarote, but not to try and replicate the atmosphere with it back at home. The taste, apparently, is just not the same as when it is served chilled whilst enjoying a warm sea breeze. In a way, I have to agree. 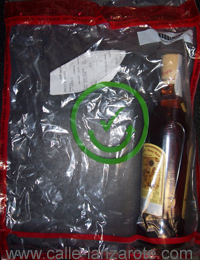 But that still did not stop us buying a bottle to enjoy on warm summer evenings whilst airside in the airport to take home with us. But that’s another story.